Open houses are a popular way to show off school or university facilities and provide a chance for attendees to interact with staff and professors. 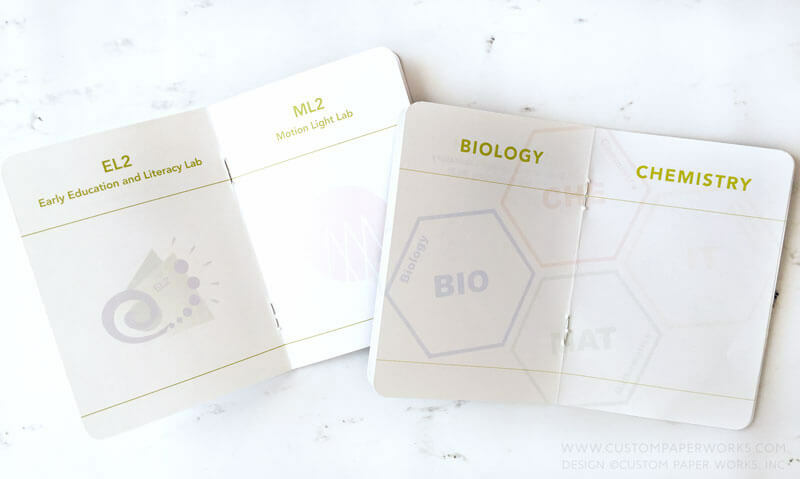 Too often attendees choose not to directly engage or actively obtain all the information they should (… or come just for the swag and snacks… ugghh)! 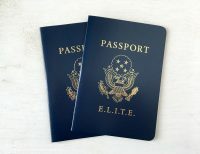 Our custom passport books can help with that! Visitors receive stamps in their custom passport after stopping at various stations and picking up information sheets or talking with department representatives. When the book has been stamped on every page, visitors receive their swag, or get entered to win a prize. Hopefully, now they have all the information you intended, and have taken more time to interact with key people you know will help them fall in love with your school. We also designed and provided the custom rubber stamps – one for each department (shown in the photo on the top of this page). Some of the rubber stamps were shared between the two events and also reused in following years’ events. We worked with this university on two separate occasions. First, with the Department of Science, Technology and Mathematics, and the following year, the Visual Language & Visual Learning Center. 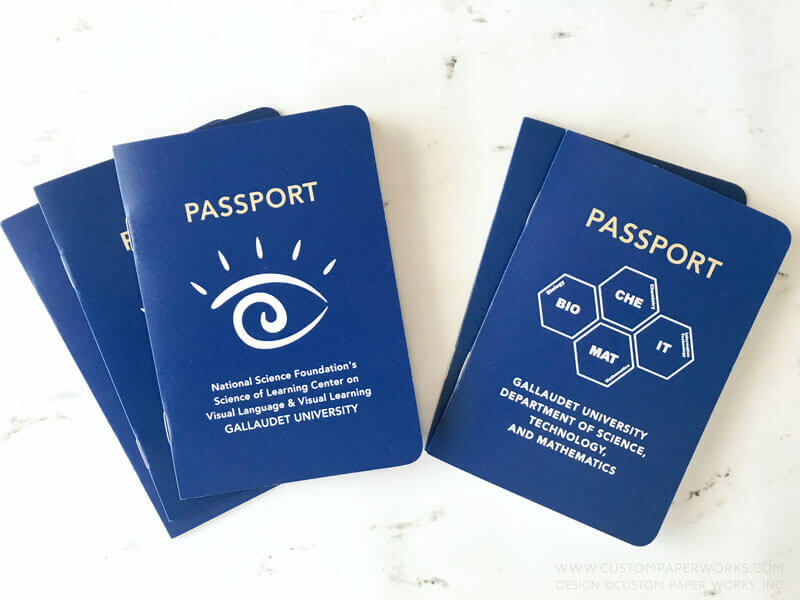 They had seen the first passport book in action and wanted to use one for their own open house event. 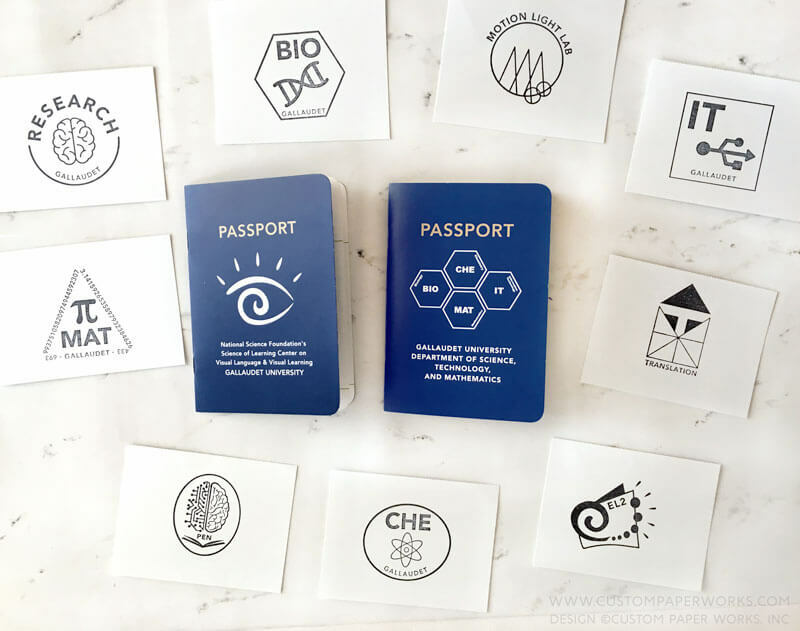 Both novelty passport books were designed using a combination of pre-existing logos and icons, school branding styles AND some additional custom design elements. 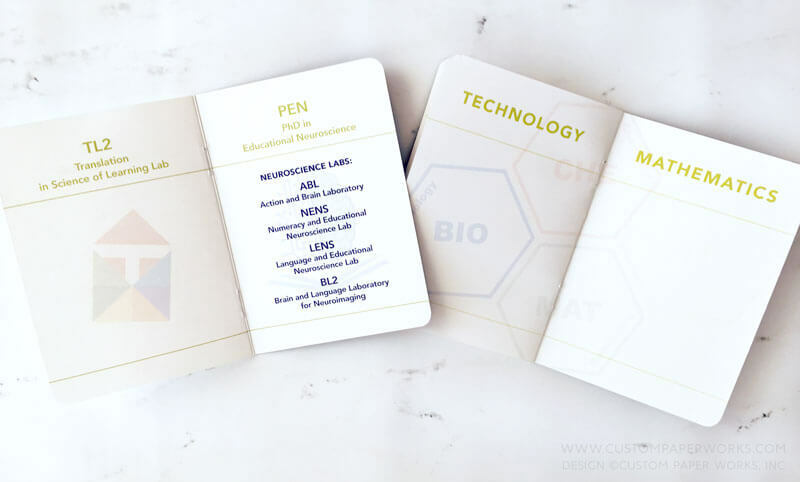 For custom-designed special event passport books like these, we always like to remind clients to think beyond the first event. Does this event happen every year, or every other year? Are any other departments or locations having similar events? And is the branding of their usual marketing materials typically fairly consistent? If so, it’s a good idea to consider printing a larger quantity that could be used over several years because there are HUGE quantity price breaks when you are talking about 250 vs. 500, 1000 and especially vs. 2000+. It’s definitely worth the “1-time” investment vs. “yearly investment” when you plan on using them for several years in a row. 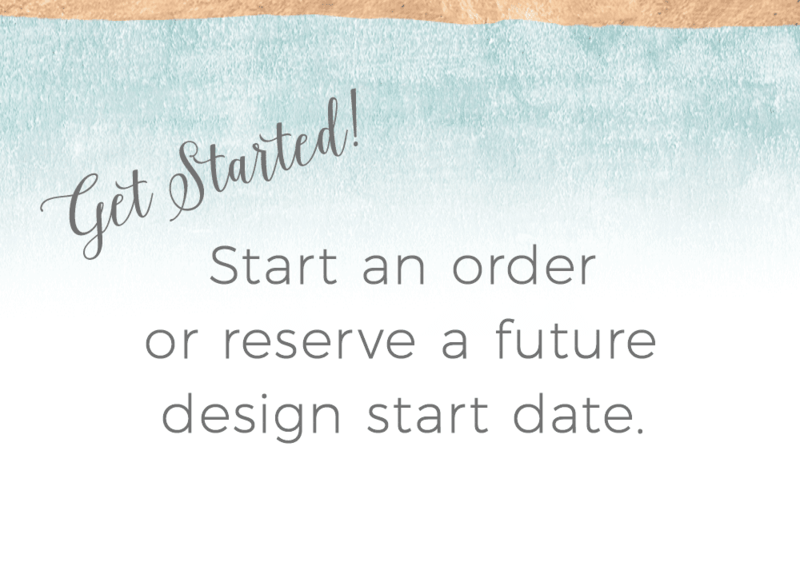 And we can help you make sure the design is something that will be eye-catching and relevant each of the following years. Does your school have yearly open house events? 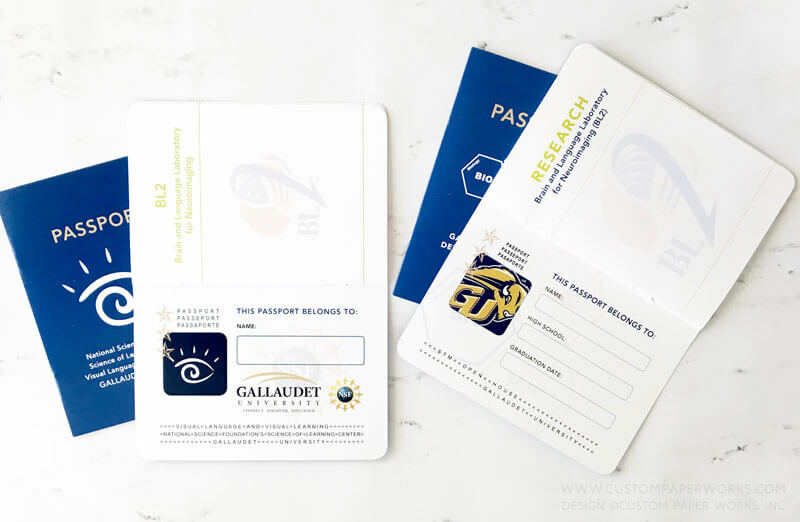 We’d love to create passport booklets to help raise your visitor engagement numbers!